The Frankenstein 1931 Ultimate Guide evokes the brochure you might have bought at the cinema in 1931! 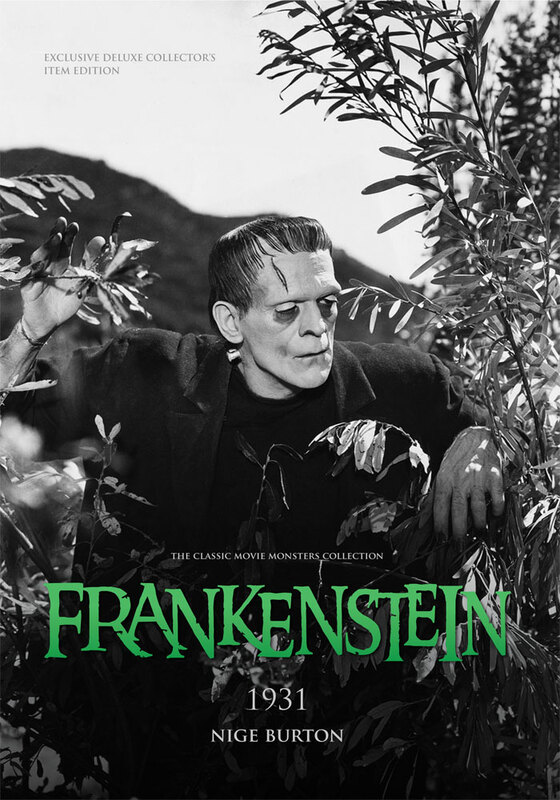 BUY THIS PRODUCT WITH OUR BRIDE OF FRANKENSTEIN ULTIMATE GUIDE AND SAVE ON COVER PRICE AND SHIPPING – CLICK HERE! BUY THIS PRODUCT WITH OUR DRACULA 1931 ULTIMATE GUIDE AND SAVE ON COVER PRICE AND SHIPPING – CLICK HERE! 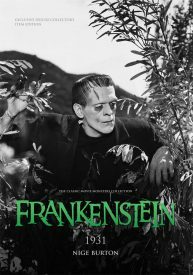 This book, the second in the Classic Movie Monsters Collection, celebrates James Whale’s iconic 1931 production of Frankenstein, the film which catapulted Boris Karloff to international stardom overnight. Called simply Frankenstein 1931, it is beautifully written and illustrated with a wealth of stills and posters. Author and horror film historian Nige Burton traces the film’s shaky beginnings through to the cinematic masterpiece it became, looking at the source material and various stage and screen adaptations which led to the Frankenstein we know and love. Within these lovingly designed pages you’ll discover the backstory behind one of horror cinema’s all-time icons, as well as the diverse and often tragic histories of its key cast and crew members. Frankenstein 1931 is the perfect reference guide for any fan of Boris Karloff’s seminal performance. Can’t recommend this magazine/book highly enough. It’s a beautifully produced, well written, informative and nicely illustrated publication. Hope there will be many more! I have both the Dracula and Frankenstein Ultimate Guides. These were both great reads. You’ll watch these movies in a different light once you read these. As a charter subscriber, I must tell you how happy I am with all of your publications. I buy every issue, every book you release. My collection is growing! I just received issue 5 and it is fantastic. I ordered three new DVDs based on the articles in it. The format, paper, clarity, writing, photographs and content are the best anywhere. 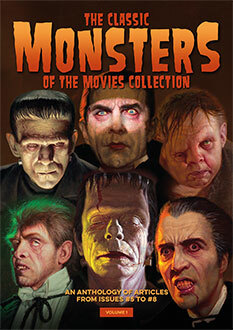 Classic Monsters has no equal! Thanks for keeping the high quality you began with. It is the most important thing there is. Superb anthology of this classic film with classic performances. Well written and informative!